When you are planning your wedding, you want everything to be perfect, right down to the last detail. We can help you with all your wedding rentals needs, with everything you require for your big day in one place. No matter what the theme, we have all the wedding equipment from tents, tables, chairs, chandeliers, dance floors & more that you will need to ensure that your dream wedding is perfect. Lowest Prices. Award-Winning Customer Support. Fast Shipping. We have everything you need to turn your wedding into a memorable day unlike any other. Our wedding rentals are all of the highest quality and undergo a mandatory inspection prior to delivery. Our professional drivers and wedding arrangement professionals will deliver your items on time. Wedding party rentals are made easy by talking to us first about all your San Diego wedding rentals needs. Why Use Us for your Wedding in San Diego? We are a well-established business where you can find all your San Diego wedding rentals in one place. No need to run all over town or spend hours searching online for “wedding rentals near me.” You can easily search our website and find everything you need, from wedding furniture rentals to a wedding arch rental San Diego, to all your décor and entertainment needs. If you have any questions, our customer service representatives are ready to assist you with any concerns you might have about San Diego wedding rentals and to help you pick the perfect items for your big day. Small or Large Weddings, We can Help! Not only do we make it easy for you to find all your San Diego wedding rentals in one place, we make it affordable. No matter what your budget, we will help you stretch it the furthest with our wide selection of affordably priced wedding decor rentals and other wedding party rentals. We have tents, chairs, decoration and entertainment options that will fit any theme, from very casual to the most elegant affair. By getting all of your wedding party rentals San Diego in one place, we can help you track your spending and make sure you stay within your budget. 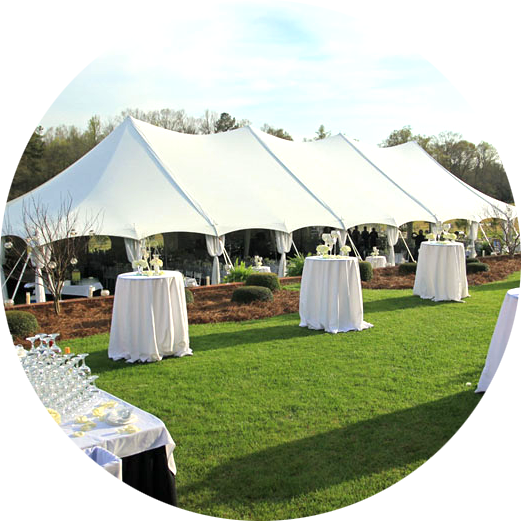 If your wedding or reception is going to be outdoors, you will need to have tents to ensure your guests’ comfort. We offer three different wedding tent rentals San Diego. Our sizes include 20 x 20, which can comfortably seat up to 32 guests. We also offer a 20 x 30 tent, with a seating capacity of 48, and a 20 x 40 tent, with the capacity to seat up to 64 guests. All of our wedding tent rentals San Diego can be configured and matched up in a way to accommodate all of your guests, as well as your food, bar and dance floor. Our wedding rentals San Diego also include small canopies to cover your guest book or seating chart. All of our tents include delivery and installation. All of our wedding tent rentals San Diego can be configured and matched up in a way to accommodate all of your guests, as well as your food, bar and dance floor. Our wedding rentals San Diego also include small canopies to cover your guest book or seating chart. 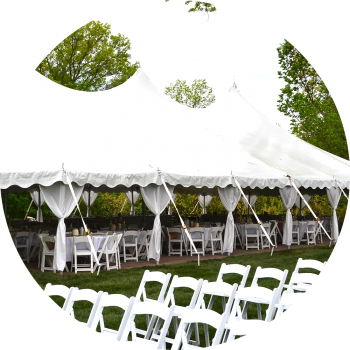 Our wedding rentals San Diego professional staff will help you select the tent sizes you need and will figure out the best way to set up the tents to fit your plan for your venue. We will ensure that the tents are erected safely and quickly and that they are taken down after your event. No reason to bother with purchasing tents and having to deal with the hassles of set-up and tear-down. Our San Diego wedding party rentals include all the tent options you might need to create the venue you want for your big day. In order to make your wedding locale perfect, we have a number of wedding rentals San Diego that will fit any theme. Chandeliers will offer a nice lighting option to allow your event to extend well into the night, while smaller lights offer a more intimate feel. Other items you might need include patio heaters, a wide variety of lighting and decorative items and fun entertainment options. Our wedding decor rentals also include such things as helium tanks and balloons, cotton candy machines and slushy machines, all designed to make your wedding and reception memorable. No matter where you are holding your reception, your wedding rentals San Diego will need to include furniture. Tables and chairs in a number of styles and sizes are available. Whether you are looking for something rustic or a smooth, polished finish, we have it available for your big day. 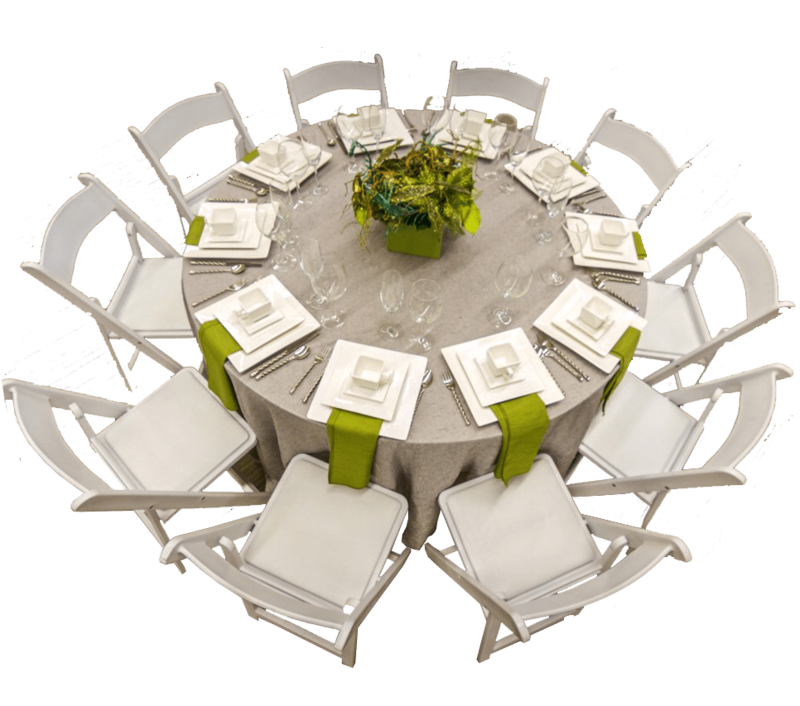 With the wide variety of tables and chairs we offer in our wedding rentals San Diego, you can configure almost any venue to match the theme you have chosen. Round tables offer an intimate setting for a few people, while long rectangular tables allow you to seat more people in the space available. Luxury Chiavari chairs in Gold, Silver, Transparent and more! No matter what look you are planning to create, it all begins with choosing the right chair. 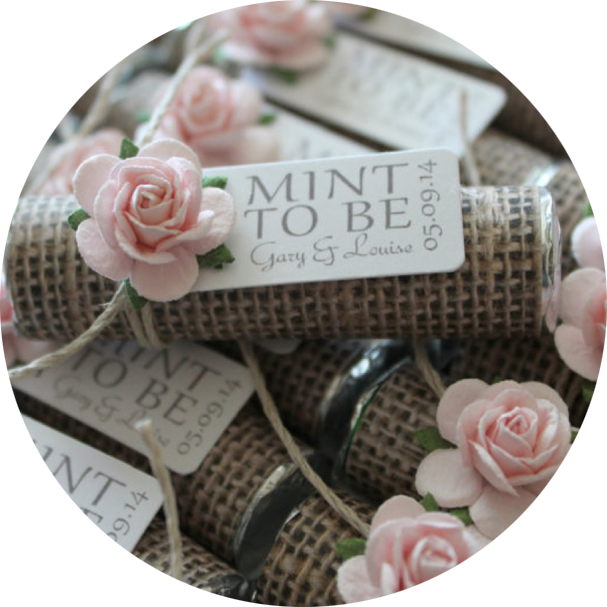 You are sure to find just what you need to create the wedding of your dreams. We also offer decorative items, such as bows and chair slip covers, to help you create just the look you want for your special day. You can match the color of your other linens or create a beautiful contrast with our chair cover options. Whether you are planning an elegant, plated dinner on fine china or a rustic barbecue on simple plates, we have tableware to fit all your needs. 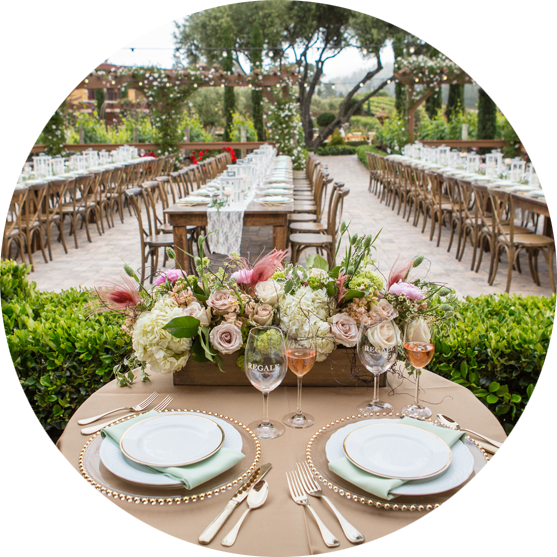 Rather than having to purchase all the plates, cups and flatware you will need, you can add those to your San Diego wedding rentals. Not only is it an affordable option, but it also helps reduce trash at your venue and relieves you from having to retrieve any dishes you have purchased after the wedding is over. 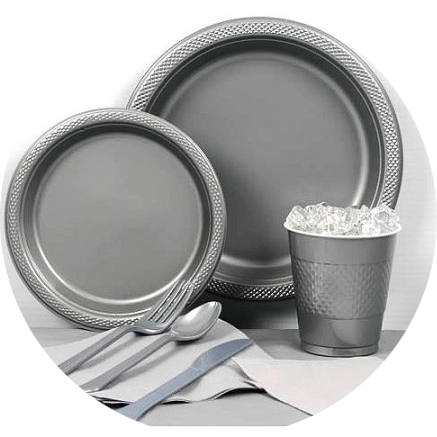 It can be easy to overlook things like flatware and cups in determining your tableware needs, but our staff will ensure that those are included in your wedding party rentals San Diego. Table linens are another item you can check off your list when you get your wedding rentals San Diego with us. Every bride wants the linens to match or at least coordinate with the colors she has chosen for her bridal party. We have a wide variety of tablecloths, napkins and table runners to chose from. Different materials and construction help in creating the mood of the day for your wedding. No matter what style and color you want, we have the linens to help you pull together that look you are working for. Set the mood for your big day not only with tablecloths and linens, but with other decorative items available through our wedding rentals San Diego. From a wedding arch rental San Diego to bounce houses and other inflatables, we can help you create a memorable wedding and reception. Little items, like candle holders and cake stands, will add the perfect touch to your venue, while other items, such as fabric backdrops, will help you create the wedding event you have always envisioned. Once dinner is over, it’s time for the party to begin. Rent your dance floor with our San Diego wedding party rentals to ensure your guests have a great place to dance the night away. We can also ensure your DJ or music equipment has all the power you need with our portable generators and power equipment. The last thing you want is for the party to be get started late – or not at all – because you can’t find an adequate power source for your music provider. We’ll make sure you have the power access you need and the dance floor space to get everyone into the celebration. The fun doesn’t have to be limited to the dance floor. Our San Diego wedding rentals include a variety of bounce houses and other inflatable games and entertainment. Your young guests, and even those that are young at heart, can be entertained for hours with a castle or interactive inflatable game from our wedding rentals San Diego. We’ll set everything up and ensure it is safe so your guests can have hours of fun throughout your party. Other fun party items you might want to consider as part of your San Diego wedding rentals include popcorn machines, snow cone or cotton candy machines, personalized banners and balloons and helium tanks. Guests can munch on snacks, or take home a small favor to remember your special day, release balloons for an unforgettable photo or leave personal messages to you on your banner. These little touches from our wedding rentals San Diego will keep people talking about your reception for a long time. One item people often overlook when planning their San Diego wedding rentals needs is the need for sanitation. Especially with outdoor venues, you will want to provide for your guests’ comfort with portable restrooms and washing stations, as well as garbage cans to keep your venue clean and free of trash. It’s best to check with your venue to determine what you will need to provide. Once you know, we can help you get all the sanitation equipment you will need. You can rest assured when you choose us for your San Diego wedding party rentals that you are getting top quality products and service. We are accredited by both the Better Business Bureau and the San Diego Chamber of Commerce. More than 100 satisfied customers have left positive reviews on our website. We are familiar with almost every wedding venue in the San Diego area, and our staff can help you choose just the right wedding party rentals to make your wedding day the exact one of your dreams. No matter what wedding party rentals San Diego you need, we have them for you. From wedding furniture rentals San Diego to wedding chair rentals and even a wedding arch rental San Diego, you will find everything you need in one place to make your wedding memorable and perfect. Search wedding rentals near me to find our nearest location to get started on finding all your wedding decor rentals, as well as wedding tent rentals San Diego and all the other items you need for your special day. Stay on budget and eliminate the worry by using us for all your wedding party rentals San Diego.